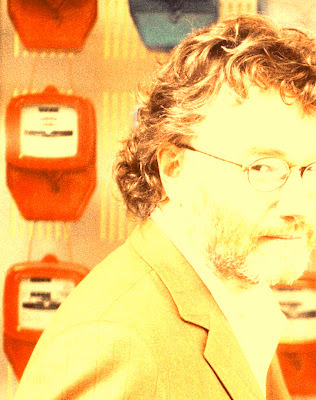 Iain Banks came to widespread and controversial public notice with the publication of his first novel, THE WASP FACTORY, in 1984. He has since gained enormous popular and critical acclaim for both his mainstream and his science fiction novels. He is now acclaimed as one of the most powerful, innovative and exciting writers of his generation: The Guardian has called him "the standard by which the rest of SF is judged". William Gibson, the New York Times-bestselling author of Spook Country describes Banks as a "phenomenon". I caught up with him after he finished writing his latest book, due out later this year. Can you tell me a bit about yourself. 55, married but separated and in the process of getting divorced, no children, living happily with partner in Fife. Merrily writing away to produce a book every eighteen months or so. Hobbies include music and hill walking. Driving a wee diesel hatchback these days after an attack of green guilt made me sell the fast cars. Gave up flying too, mostly for the same reason but also because I just got bored with the security rituals. No single template. Drinking and eating feature heavily as a rule, though. Sorry, I don't have one. Fair enough! What book are you currently reading then? The Gods That Failed by Larry Eliot & Dan Atkinson. What was your first break into being a published author and how did that feel? Getting a phone call from the late and much-missed James Hale of Macmillan while I was sitting at my desk pretending to be a costing clerk for a big firm of London lawyers in March 1983. James plucked The Wasp Factory and me from obscurity. The rest is modern studies. Do you know anything about the plans to turn The Wasp Factory into a film and will you be involved with the screenplay and the music and lyrics to the soundtrack? The film rights are mine again apparently, as of recently. So a film is a possibility - watch this space. I'll leave a proper screenwriter to get on with their job. 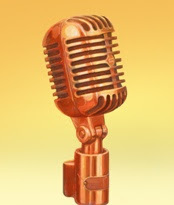 Ditto the music - I have absurdly ambitious plans for my music but a soundtrack for Wasp Factory does not figure in them. The Steep Approach to Garbadale, the family business is built around a game called Empire! Is this based on games like Risk and do you have a love of playing board games yourself? Yes, it is. I was a Risk adept, I'll have you know. Well, I thought so at the time. At one point in the early Seventies I'd won 13 out of the 15 games my pals and I had played over the course of one summer (and, patently, remembered this statistic). I believed then that this was because I was a genius. In fact it was because I had a car. This kept me sober while my chums were all roaring drunk and often stoned as well and so not taking the game entirely seriously, while I was. I even designed a sort of super-Risk that featured a variable-geography board and lots of different types of units, plus different terrains and resources and so on. I never did persuade any of my pals to play it with me though I had a lot of geeky fun test-playing it. Anyway, Sid Meier did it a lot better. In your book science fiction readers are described as anoraks in a conversation between Alban and Fielding. Do you think science fiction readers are seen like this and as a science fiction as well as a literary writer yourself how do you feel about the genre and its image? Of course they are. And while there is a grain of truth here it's mostly just a patronising put-down, born partly out of a sort of technophobia. Only a culture that ever considered calling somebody 'too clever by half' and regarding this as a genuine criticism could be quite so self-defeatingly stupid about SF and its fans. On the other hand I have a sneaking respect for the keep-SF-in-the-gutter faction, too... Cripes! I'm jolly well conflicted. Why do you put your middle initial in your name for your science fiction, was that your idea? To keep certain of my uncles happy. There was a degree of avuncular disapproval that the good name of Menzies might somehow be seen as not good enough. Anyway, it helps distinguish the mainstream from the SF, though the debate over its usefulness is on-going. Is there much cross over between the people that read your science fiction and those that read your literary work? I wish I knew. Just going on the mix of people at events and so on, I think the Venn diagram concerned has a fairly generous middle bit, but obviously further market research is required.